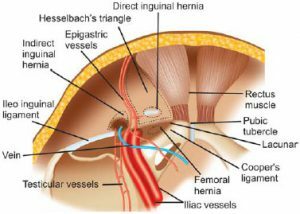 A femoral hernia is very closely related to the inguinal hernia and the foremost symptom occurs as an unusual lump on the thigh. It does not show any gender discrimination and could affect men and women equally, with the same probability. It occurs when the groin muscles become weak and cause the protuberance of the small intestine. 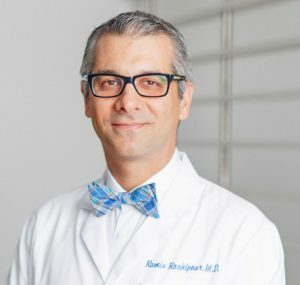 Even most of the doctors are able to categorize femoral or inguinal hernias once they penetrate into the incision because if a hernia is below the inguinal ligament, it is the inguinal ligament and if it is below it, then it is the femoral hernia. As soon as the anesthesia dooms your senses, the affected area is inflated with carbon dioxide and just three incisions are made on the side of hernia in order to insert a camera and carry on the surgery. Anatomical position of the hernia sac is adjusted and any defective muscle is also treated by suturing it in the meantime. 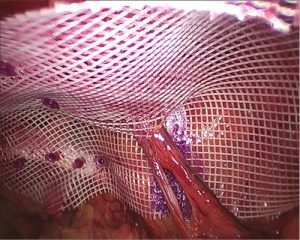 All this is done by isolating the hernia sac from abdominal muscles. Since the two hernias, femoral and inguinal, are closely related to each other, therefore an utmost care must be shown while treating any of these. However, there are certain advantages of the laparoscopy procedure that make the surgical and post-surgical conditions very easier for both of the parties. The pain is reduced to at least half of that caused in an open surgery where invasion is the key to success. But here, the three point incision makes it way more comfortable for the doctor and the patient too. The tree point incision controls the bleeding to a great extent and decreases the chances of infection as well. Not only does this control the infection to the related organ, but to the surrounding organs as well that are not exposed to the environment. This procedure leaves relatively less scars on the site because of its pinpoint precision, and of course, the highly incised methodology. It allows the patient to return back to his normal way within three weeks (approximately). Treating the femoral hernia is a delicate process where recurrence could not be afforded. Laparoscopy uses the tissue meshes to overcome this issue and the recursive nature is diminished to a great extent. Laparoscopy has trimmed the chances of human error by making the inside of patient’s body more prone to magnification on the screens. The doctors have a better chance of operating more efficiently by causing least invasion. Laparoscopy allows the doctors to treat two hernias (femoral and inguinal) simultaneously. You are not supposed to do the courses of several drugs before a surgery, as happens in an open surgery. This cuts off the costs related to the surgery and treatment. The recovery time is significantly low and you could get back to normal life within a month, or even less. Whenever you are expected to go for a laparoscopic surgery, make sure that the doctor is sound enough to handle this highly sophisticated technical equipment.